Please, enter your E-mail and we will notify you when the product is available. 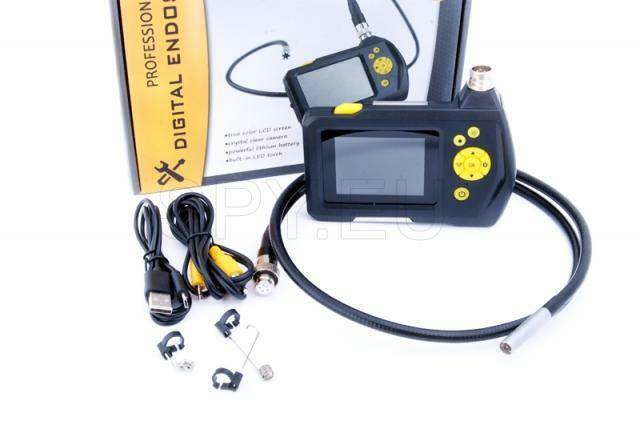 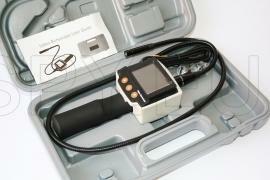 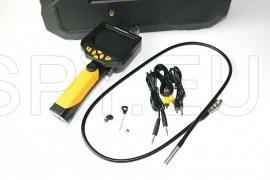 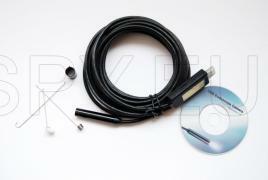 The camera of this endoscope is 8.2 mm ins size and it's is installed on a flexible metal tube 1 meter in size. 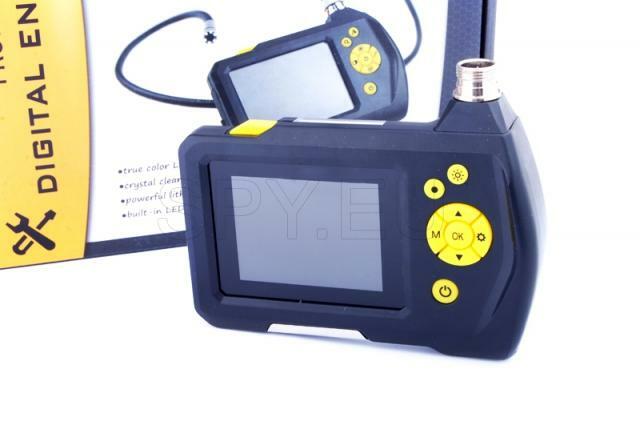 The viewing angle is 60 degrees, and for getting the best pictures there are six bright LEDs. 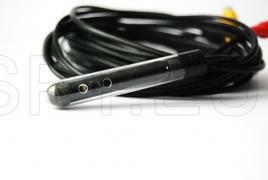 At the end of the pipe there is an easy to attach screen with 2.7 inch color LCD display. 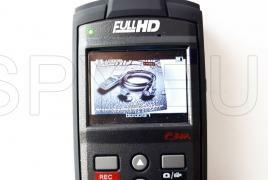 With its help you can record videos and photos in several resolutions. 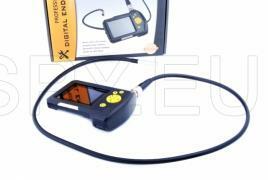 The video is in AVI file format with 320x240, 640x480 or 1280x720 pixels and 640x480 images respectively, or 1600x1200 2048x1536 pixels. 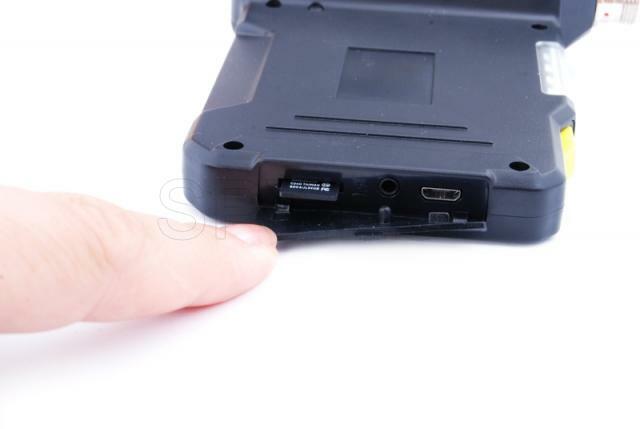 All files are stored on the microSD card. The device has a direct AV output for playback on TV screens and a micro USB port. 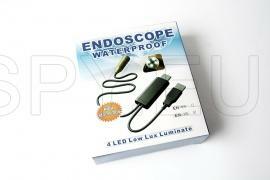 The endoscope works with a 3.7V battery.